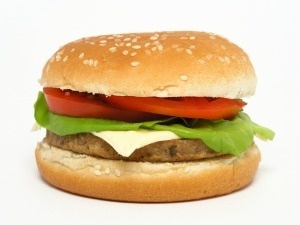 Is Your Marketing Department on a “Fast Food” Diet? "Because the purpose of business is to create a customer, the business enterprise has two — and only two — basic functions: marketing and innovation. Marketing and innovation produce results; all the rest are costs. Marketing is the distinguishing, unique function of the business." Yet how many businesses manage, staff, and budget their marketing departments as their ultimate competitive weapon? Are businesses failing to thrive because their marketing departments lack the proper “nutrition” in the form of market research to use to create innovative marketing strategies and tactics? Today it seems, thanks to how easily and cheaply the Internet gives access to information, that too many businesses are getting their marketing insights from a collection of random anecdotes and tips and tricks from 500-750 word articles or blog posts by self-proclaimed experts. Why not? It’s cheap, quick, and gives marketers confidence that they have the data they need. Or marketers diligently watch their key competitors' every move, then copy them. In other words, competitive tracking and analysis has become quick-fix market research. Or they turn to their Big Data technical experts to sift through the piles of data they collect about their customers and their purchases, amend it with demographics and psychographics from commercial Big Data compilers, and confidently believe their market research needs are covered. Except that nobody, not even the data experts, really understands what all that data means. And look at the results: CNN Money reports “Store closings are the hottest trend in retail.” This year Best Buy, Kohl’s, Macy’s, JC Penney, Restoration Hardware, Walmart, Sears, Kmart. Target, Nordstrom, not to mention all the private companies that don’t make quarterly reports, are closing stores or missed their revenue and profit goals. These are companies that rely upon their Big Data and all the rest for consumer insights. But what does it get them? Next to nothing! Marketing starts with understanding the customer. I believe the sorry state of business today is that too many businesses have put their marketing departments on “fast food” market research diets, in the name of cost savings or irrational confidence that all that readily available free or cheap data is all that is required. But just like fast food we eat, it fills you up, tastes reasonably good, and gives you calories to burn, but it can’t keep your body going for long. A steady diet of it will leave your body depleted of the nutrients it needs to stay healthy and perform at its best. Likewise in business. A fast food research diet makes business fat and sluggish. It doesn’t provide the marketing department staffers — the businesses’ human capital — the fresh ideas and deep consumer insights needed to keep the business healthy and growing. If, as Drucker says, businesses have only two basic functions — marketing and innovation — then market research conducted in a professional, reliable, valid way with the right sample of customers and prospective customers is the food that both those responsible for marketing and innovation require. Here are some thoughts on how businesses can provide the proper nutrition that their marketing departments require to thrive. Only reading the headlines doesn’t mean you have the full story. Of course, we all need to be reading the news releases or blog posts about new research studies pertaining to our markets. But to stop there and not dig into the underlying data and its nuances is just plain wrong. While the topline results of a survey can be reported in a 500-750 word release, that barely scratches the surface of the kind of keen insights and understanding a deep-dive into the results can yield an experienced market researcher. A good body of research can be read by different users with different needs to yield different answers. As a supplier of syndicated research conducted with large samples of consumers, I can attest to the fact that one good survey can be mined by different companies with different needs and yield different answers. A well-conducted survey doesn’t give just one answer, but many, depending upon how the data is sliced and diced and probed for unique insights. GIGO — garbage in, garbage out — applies to market research. When talking about some research finding, I have often heard people say, “That’s interesting data, but what can I do with it?” In effect, the business person doesn’t know how to take a data point and apply it to their business situation. As a trained and experienced creator, reader, and user of market research data, I try to make such research insights actionable by showing how to put the findings to work. But ultimately. I can only point people in the right direction, not make their marketing decisions or set marketing strategies. Marketing departments need to be staffed by people with real experience sifting through data, who are able to evaluate its reliability and validity to the business questions at hand, and are trained to draw strategic conclusions from that data. Businesses must wean the marketing departments off a fast-food research diet and give them the sustenance they need to bring innovative and creative solutions to marketing efforts. That takes investing in good research including syndicated market research reports, as well as custom research studies. While they may cost a bit more than slap-dash articles found in a quick Google search, news articles about the competition, or fuzzy statistics from technologist in the Big Data departments, such studies will pay back the investment many times over in actionable and innovative marketing strategies. Interested to find out more from author and expert Pam Danziger? Download her white paper on the luxury goods market to learn how premium brands market to the affluent. Speaker, author, and market researcher Pamela N. Danziger is internationally recognized for her expertise on the world's most influential consumers: the American Affluent. Her latest book, Shops that POP! 7 Steps to Extraordinary Retail Success, reveals the secrets to crafting a retail shopping experience that’s irresistible to high-value shoppers looking for something special. As founder of Unity Marketing in 1992, Pam leads with research to provide brands with actionable insights into the minds of their most profitable customers. Pam received the Global Luxury Award for top luxury industry achievers from Harper’s Bazaar. She was named to Luxury Daily’s Luxury Women to Watch in 2013. She is a member of Jim Blasingame: The Small Business Advocate’s Brain Trust and a contributing columnist to The Robin Report. She is the author of five books including her recent mini-book, What Do HENRY’s Want?, which explores the changing face of America’s consumer marketplace. Pam is frequently called on to share new insights with audiences and business leaders all over the world.